Blog – Words Hurt, Running Heals. Bullying is a cultural epidemic that has been going on for ages, and it isn’t just something seen in the movies. Bullying affects people of all ages in a number of different ways and its effects on them can be long-lasting. Whether it be cyber bullying, physical, verbal, impulsive, pressure, and even corporate bullying, it can be hard for someone to stop and take action. In schools across the country, one in five students is a victim of bullying. Kids who watch others be bullied and don’t step in often act this way because of fear. They may feel guilty and powerless for not doing anything about it. This is where Stand For The Silent comes into action. Stand for the Silent is an organization that was started in 2010 by students at Oklahoma State University after they heard the story of Kirk and Laura Smalley’s son, Ty. At only eleven years of age, he had been bullied for two years. After getting suspended for retaliating against his bully, Ty took his own life. Kirk and Laura’s mission is to continue to change kids’ lives by bringing awareness from their story, as well as offering tools and education to help prevent another tragedy like this one from happening to a child and their family. Since 2010, they have reached over 1,308,000 kids in 1,210 schools across the country. World Wide Motion Pictures Corporation is partnering up with Stand For The Silent for National Bullying Prevention Month, both supporting the release of the film Time for a Champion. Together, we believe that each and every single individual has a valuable contribution to make in the world and deserves to feel loved, included, and treated with respect. If you want to participate in this movement we encourage you to do so and Take The Pledge. World Wide Motion Pictures is thrilled to announce its newest collaboration with the Stop The Bully Foundation in support of the release of the film Time for a Champion. A narrative centered on the issues of bullying, Time for a Champion is the story of an adopted Mexican girl trying to pursue her dream of becoming a track star at school; however, her goals are blocked by the mischievous girls who continue to harass her for being different. Stop The Bully Foundation is excited to work with WWMPC on the distribution of this film, as both concern the common theme of the negative effects of bullying. A little snippet about this non-profit organization: Stop the Bully Ireland was founded by a leading anti-bullying expert, Pat Forde, who has participated in the on-going anti-bullying debate in Ireland and has featured on RTE’s award-winning television series, Bullyproof. This anti-bullying organization searches for ways to empower people of all ages to effectively manage bullying confrontations by improving confidence, assertiveness, self-esteem, and producing positive thinking. For more information, please click the link below and feel free to browse the website. An inspirational story that will grab the hearts of all teenagers worldwide, do not miss out on the theatrical release of Time for a Champion on International STAND UP to Bullying Day that takes place on February 24th, 2017. Don’t forget to wear pink! Bullying is not a drop in the pan: Nicholas Welch wants to make it a movement. With the vision of starting a nonprofit that would help eliminate bullying among younger generations, Welch founded his nonprofit organization, The Anti-Bullying Movement. “ I wanted to give back to the world, and let bullies know that it is not okay,” Welch said. The Louisiana-based organization is fairly local, but Welch hopes to expand it across the nation, and partnering with World Wide Motion Pictures Corporation in the upcoming release of the inspirational feature film Time for a Champion is one more way to accomplish that. Welch believes that educating students and teachers is the best way to end bullying since such negative treatment can lead to major self-confidence issues, depression, and suicide in the long term. However, he recognizes that bullying, unfortunately, is not limited to children, but can continue into adult interactions and is at times beyond the educator’s reach. What should you do? Welch encourages any witness of bullying to report it to a teacher, parent, or, in the case of adult bullying, to human resources. Many are eager for the release of Time for a Champion, a film concerning a bullied teen, who rises above her tormentors and grows through her difficult circumstances. The film is scheduled to release on February 24th, which is International Stand up to Bullying Day. Bullying is an unfortunate fact of life in our modern society. When you hear about bullying in the news, a solution to stop bullying before it happens is almost never offered. Cool Kind Kid has dedicated its resources to create an Anti-Bullying Program to help give children and teachers the tools to combat bullying in school and in social settings. The problem that they have identified is that schools instead have a reactive approach to bullying instead of being proactive and preventing the behavior, to begin with. To this effect, Cool Kind Kid teaches children of all ages that is it cool to be a kind kid and you don’t need to put others down to feel better about yourself. Cool Kind Kid provides a variety of materials for both teachers and parents to use to help teach good manners to students, with their award-winning Social Skills Activities for kids. This includes books, games, and workbooks, all available for purchase on their site. They have an entire curriculum planned to help educators with everything from bullying prevention to etiquette rules. They firmly believe in the rule that you need to treat others the way you want to be treated. This wonderful organization has also partnered with World Wide Motion Pictures Corporation in promoting the feature film Time for a Champion, which portrays the reality of bullying in a high school setting, especially towards immigrant children. This film is unique because it was produced by Pharr-San Juan-Alamo, PSJA, a school district in Texas. This school district allows a student to get a head start on college courses in a high school environment, one of them being film production. The film is scheduled to come out in February 2017, to coincide with International Stand up to Bullying Day, which is on the twenty-fourth. World Wide Motion Pictures Corporation is partnering with the Stop Bullying Now Foundation in support of the release of Time for a Champion, a film about an adopted Mexican girl who has to deal with bullying at her new school. This film will bring awareness to the bullying epidemic and give audiences a new perspective — one of an immigrant girl who is chasing her dream of becoming a track star. The Stop Bullying Now Foundation is a non-profit organization that raises money for bullying prevention and awareness. Donations are used to provide K-12 schools with professional counseling services as well as speaking assemblies to educate students about the consequences of bullying. The foundation addresses bullying on multiple fronts. This includes educating teachers and parents as well as students about bullying prevention and how to foster a healthy school environment. They also speak to churches, businesses, and political networking groups in order to make bullying prevention a community-wide effort. World Wide Motion Pictures encourages you to take a look at Time for a Champion and donate to The Stop Bullying Now Foundation so that you can be a part of solving the bullying problem in America. Time for a Champion will be available at http://indiemoviestore.com/ on February 24th to coincide with International Stand Up to Bullying day. With the release of Time for a Champion, a new inspirational film distributed by World Wide Motion Pictures Corporation nearing, it’s important to highlight the purpose of the film and the important message that it was planned to convey to its audience. Documenting the life of a teenage girl with a rough past arriving at a new school, Time for a Champion helps the audience understand the everyday emotional and physical torment that many teenagers go through. In an effort to confront and overcome the constant taunting and bullying, this girl shows resilience by dedicating herself to the track team, helping create a sense of inner peace and release. It’s the joint goal of World Wide Motion Pictures Corporation and Free2Luv to ensure Time for a Champion’s strong and encouraging message reaches out to as many children, teenagers, and adolescents in schools and communities as possible. It is critical for the wellbeing of individuals and communities that awareness is spread in regards to bullying, as it could have negative effects both mentally and physically. So next time you see someone being pushed around or verbally abused, don’t be a bystander; Step in and give a helping hand to the victim and reassure them that they are not alone, because bullying transcends all demographics and could make a victim out of anyone. “Wipe that whatever off your face,” or “Come here spot,” are just some of the remarks that a young Drew was told at his small Dallas school. Drew Brees, the quarterback for the New Orleans Saints football team, was born with a birthmark on his right cheek, which caused him a lot of trouble growing up. It is so very important in today’s very superficial culture to be confident and unique, and Brees shows us how to embrace our differences, despite our imperfections because we all know, no one is perfect. It’s unlikely that his childhood enemies would have much to say to him now. Drew Brees is the quarterback for the New Orleans Saints football team and is a 3x First-Team player, 9x Pro Bowler, and MVP of Super Bowl XLIV. Not to mention he’d be a pretty solid pick to have on your Fantasy Football team this year. Without a doubt, the man has been had a tremendous career and it is hardly over. It’s great that champions like Drew Brees give advice concerning their past and how they have personally prevailed in overcoming difficult life situations. Without a doubt, Drew Brees is a role model to many people, kids, and adults alike. In fact, after hearing his story, the loyal New Orleans fan base has even created a sticker shaped like his birthmark to wear on game days. No one said the road to becoming a champion was easy, but perhaps a kiss from an angel will give you further guidance. World Wide Motion Pictures Corporation is happy to announce its partnership with the organization, Community Matters. Community Matters and WWMPC are working together in celebration of the film Time For a Champion. This film will be competing in numerous film festivals around the world and touches the growing issue of bullying. A portion of the proceeds will benefit Community Matters, as well as many organizations throughout the US and abroad. In the past decade, our country has invested more than $10 billion in school safety. This money has been spent on an ‘Outside-In Approach’ which focuses on the authority of adults for safety. This approach uses measures such as metal detectors, security personnel, and very strict rules. Even with these measures, many kids still get bullied today. In the beginning, Community Matters was focused on youth development and bullying prevention but is now a consulting and training organization. There are more than one thousand schools, agencies, and organizations across thirty states that Community Matters has worked with. The mission of Community Matters is to get students and adults to become more active in creating schools that are inclusive and safe. Instead of using the “Outside-Inside” approach, they focus on the “Inside-Out Approach,” which focuses on the interpersonal dynamics of students. 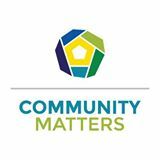 Community Matters focuses on four core elements: building relationships, being student-centered, utilizing restorative practices, and changing behavior through social norms. If you would like to get in contact with Community Matters, please see the contact information below. World Wide Motion Pictures is excited to distribute the stirring new indie film Time for a Champion. Time for a Champion, written by Barry Glasser, a member of the Academy of Motion Picture Arts and Sciences, and the Academy of Television Arts and Sciences, was produced in Pharr, Texas by college preparatory students and faculty from the Pharr-San Juan-Alamo Independent School District. Elena, the main character, is a homeless Latina girl who is adopted by a journalist and, although now in a loving home, overcomes difficult circumstances by pouring herself into her high school track team. The track team provides solace for Elena, who is bullied by her peers, since her classmates find her quiet and standoffish attitude off-putting. As Elena learns in the film: words hurt, running heals. World Wide Motion Pictures is distributing this unique and independent film with a distinct purpose: to help decrease bullying. In an effort to help spearhead this ever-evolving and important topic, World Wide has partnered with several anti-bullying organizations to raise awareness of the negative effects bullying can have in schools. Several international organizations like Stop the Bully, founded in Ireland by spokesman Pat Forde, or proponents from the Anti-Bullying Movement in Louisiana. These supporters of the film are helping cast a wide net on the issue of bullying and draw this behavior into the limelight. Will Elena overcome bullying in her school? Stay tuned for an expected release date of February 24th, 2017 in Pharr, Texas: make sure to check out all our social media, where we will keep you posted on dates, behind the scenes content, and a few contests too! – coinciding with Anti- bullying Day on February 28th & 29th.